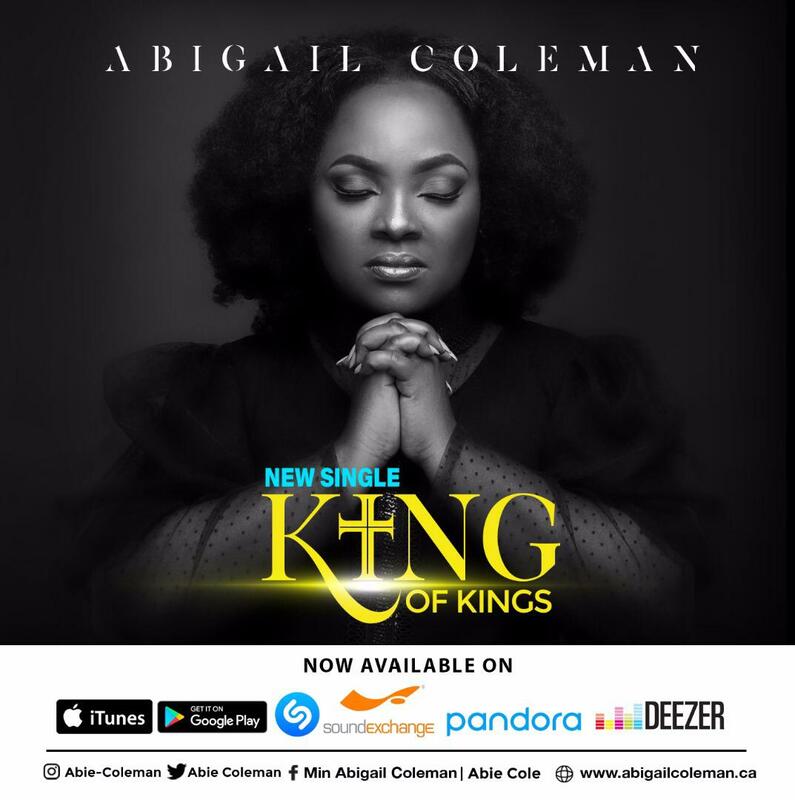 Nigerian multiple award winning gospel artiste, Sammie Okposo has this time round taken the praise to the City of London, with all details released by the artiste. 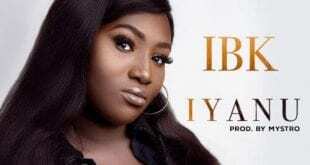 The event dubbed ‘Praise Party’, promises to be an awesome experience for patrons as what I would call ‘Top Gospel Artiste’ have been billed to be a blessing to them. 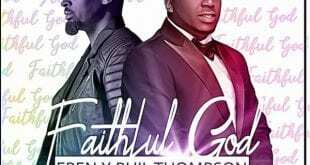 This is a kind of Africa, USA, and UK on a single stage for an intense atmosphere of praise and worship. 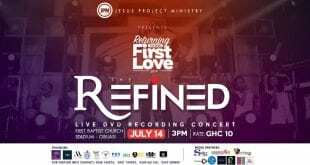 Other Ministers at ‘Praise Party’ include, Jonathan Nelson (USA), Onos Ariyo (Nigeria), Glowreeyah Braimah (Nigeria), Andrew Bello (UK) and Shekinah (UK) set to light up the atmosphere with soul-lifting and life changing song ministrations. 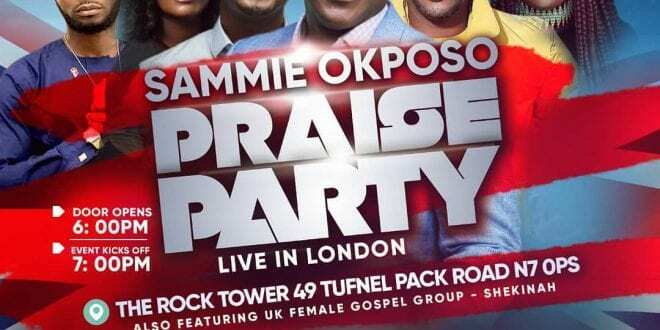 Sammie Okposo Set To Light Up London with The Sammie Okposo Praise Party. 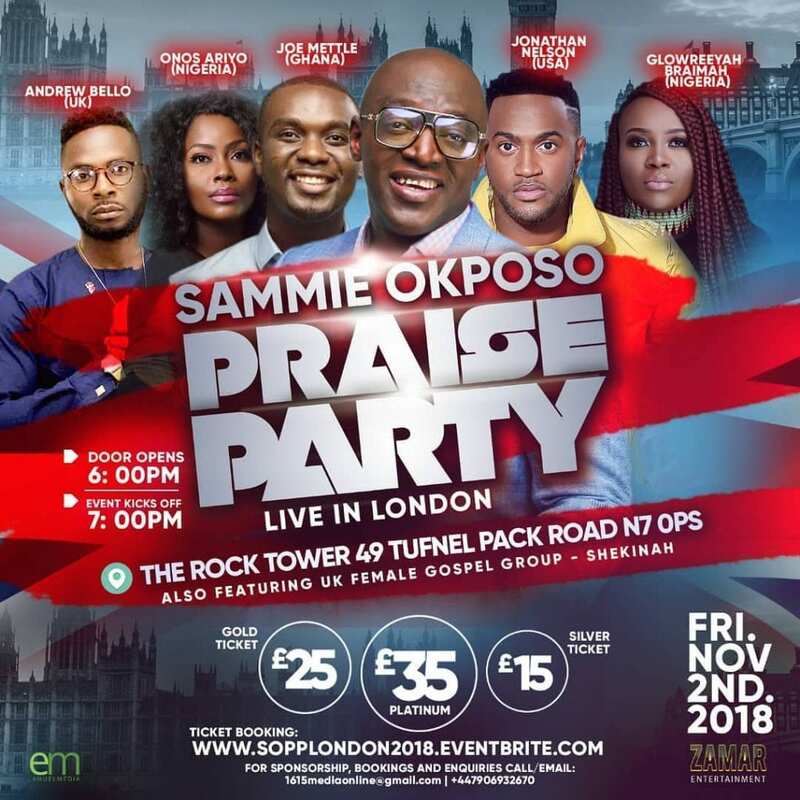 Multiple award winning Nigerian international gospel artiste Sammie Okposo has released details for his forthcoming praise concert tagged, Sammie Okposo Praise Party Live In London. light up the atmosphere with soul-lifting and life changing songs. The concert is scheduled to hold on Friday Nov 2nd 2018, at The Rock Tower 49 Tufnel Park Road N7 OPS. Doors open at 6.00pm, the concert will kick off by 7.00pm. Tickets are available at www.sopplondon.eventbrite.com at the following prices. ¤Gold ticket £25 Pounds, ¤Platinum ticket £35 Pounds ¤Silver ticket £15 Pounds.